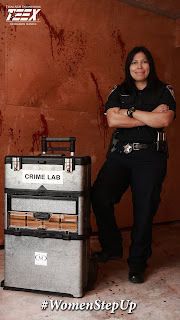 “Working as a CSI meant long hours. You may work from 8:00-5:00, then be on-call and come back at 9:00 pm; work a crime scene until 3:00am and return to your regular shift again at 8:00. But, you know, all that hard work is worth it, because we are working for the common goal of investigating and solving crime. Your work may stop a criminal from committing another crime or give a family some sense of closure. 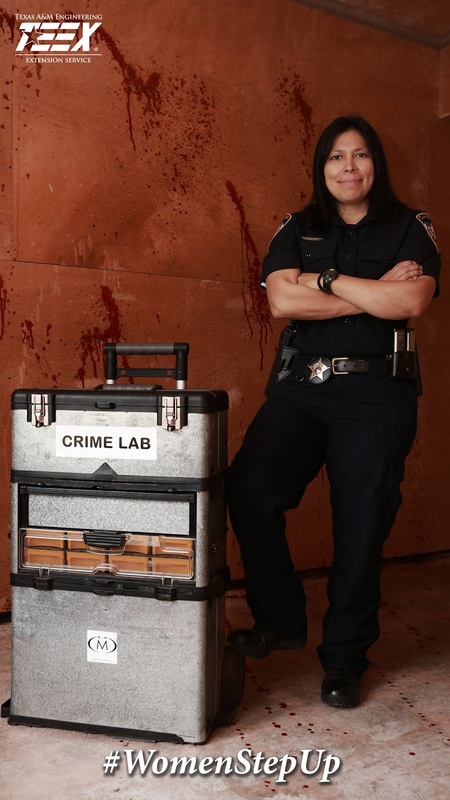 I had the opportunity to be an intern at a police department before starting my career, and even then I felt I was part of a team working for justice. All through my career, I felt my work had an impact and made a difference. So today, when I’m in a classroom teaching Crime Scene Investigation, I tell my students that I know you’re tired but know that every scene you work you literally affect people and their lives. And you literally change the world every single case you work. I don’t know many other professions that can have a profound effect like that on people. Thanks for the support you’ve provided for TEEX’s #WomenStepUp movement. To increase our visibility in social media, we are setting up a Facebook group. This will allow us to communicate directly with those interested. You can sign up for the group at this link.